Surcharges may apply for travel on a weekend. A surcharge of R965.00 per person applies for travel from Johannesburg and Cape Town from 14 June - 9 July 2019. Set on the cliff at the quiet Northern end of Patong Beach, just across from Kalim Beach. 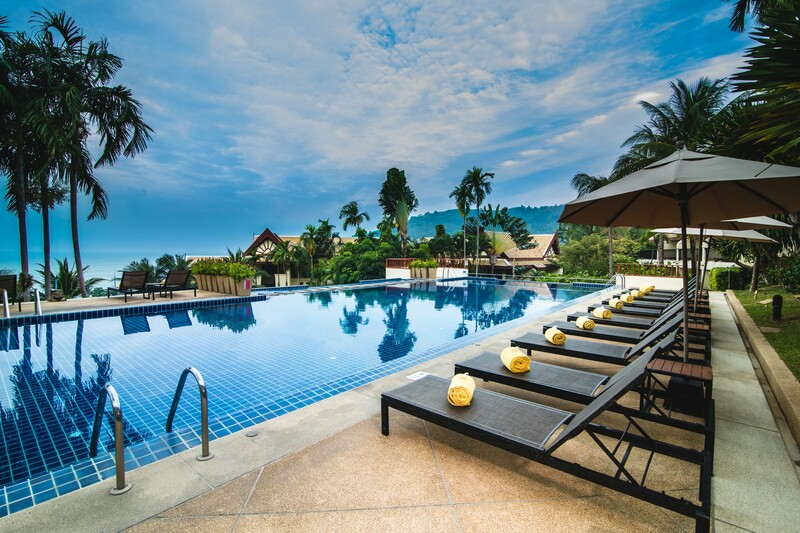 The Centara Blue Marine Resort & Spa boasts dazzling views of the Andaman Sea, is backed by green forest and is minutes away from the centre of Patong. This room offers a living space with a king bed or twin beds, and features a furnished balcony with views of the gardens. The en suite bathroom has a bath and separate shower. Each superior room can accommodate up to 3 adults or 2 adults and 1 child. Offers the option of either a king bed or twin beds accommodating couples and families of up to 3 adults or 2 adults and 1 child. The living space features a furnished balcony, with ocean views, and a bathroom with bath and separate shower. 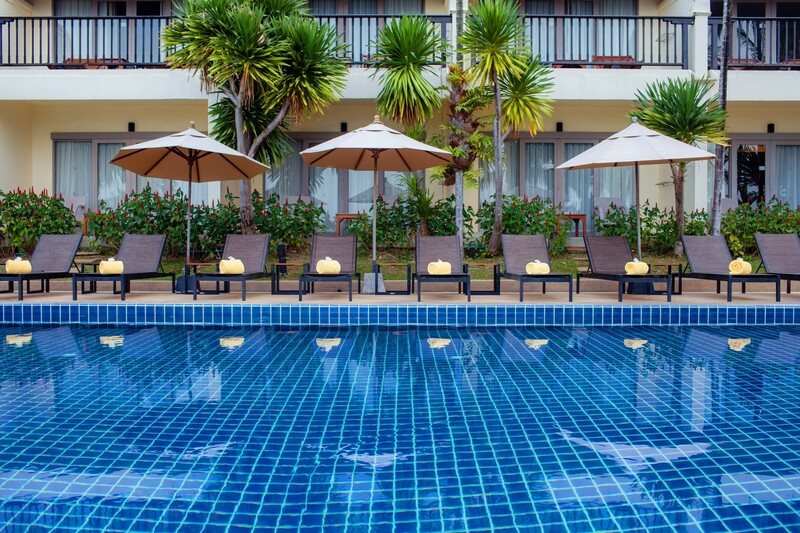 Tranquil views of the gardens or swimming pool are a feature of the Premium Deluxe rooms. Each room offers a choice of a king size bed, twin beds or two double beds, providing comfortable sleeping for up to 3 adults or 2 adults and 2 children. The living space includes a balcony that is perfect to relax and an en suite with bath and separate shower. With ocean views from the balcony, the Premium Deluxe Ocean Facing Rooms are perfect to relax in. These rooms offer a choice of a king size bed, twin beds or two double beds that can sleep up to 3 adults or 2 adults and 2 children, and an en suite with bath and separate shower. category offers a living space with an en suite with bath and shower. The living space comprising a king bedroom, a dining and living room, and a bathroom with bath and shower, these suites can accommodate up to 3 adults or 2 adults and 1 child. The furnished balcony overlooks the resort and ocean beyond. With a spacious master bedroom with a king size bed and furnished balcony overlooking the sea, and a second bedroom featuring twin beds; these suites can easily accommodate up to 2 adults and 2 children. The living space also includes a dining area suitable for four persons. The bathroom has a bath and separate shower. The Deluxe One Bedroom Pool Villas offer great ocean vistas. 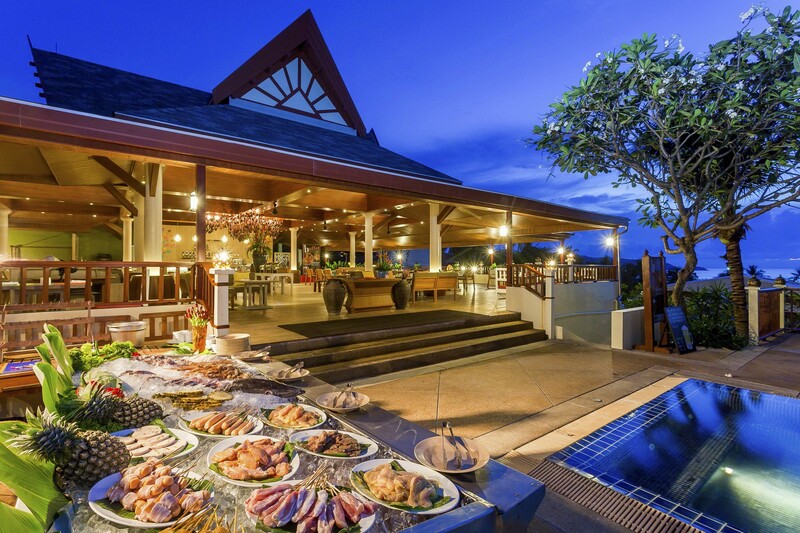 The villas feature a spacious living and dining area that opens to a large plunge pool. The bedroom has a king size bed and the villa can accommodate up to 3 adults or 2 adults and 1 child. The bathroom has both a bath and shower. This pool villa boasts a terrace with private plunge pool and panoramic views of the surrounding area and Kalim Beach from its cliff-top location. The villa features a dining area, two bedrooms equipped with king size beds and sleeping up to up to 4 adults and 2 children. The bathroom has a bath and shower. The Villas qualify for complimentary access to the Club House and enjoy the following facilities. All other room categories, with the exception of the Superior rooms, may purchase club benefits at additional charge. 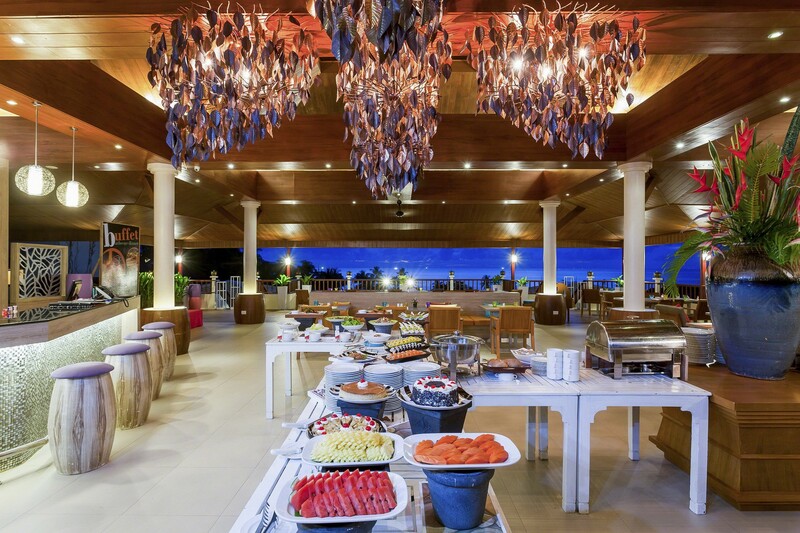 Pool side all day dining venue offering buffet breakfast and an à la carte menu for lunch and dinner. Serves a choice of international and Asian favourites. beach. Barbecue dinners are held regularly. Spa Cenvaree, Centara’s award-winning line of spas, operates in the hotel. Or should we say, welcome to Paradise. Thailand is blessed with some of the world’s most-enviable beaches and a myriad of off shore islands ensuring your will be filled with water sports, hammocks and sunset strolls along the water’s edge. Some areas are super-vibey while others offer a more serene experience. Phi Phi Island is located 2 hours by ferry from Phuket (some resorts also offer a speedboat service). You’ll be collected from the ferry by long-tail boat and taken to your resort; all of which are located in the north of the island, a quieter area, for that true getaway experience. Phi Phi is nature at its best; towering limestone cliffs shelter white, sandy beaches leading to aquamarine bays filled with marine life; perfect for diving and snorkelling or simply taking it easy and letting the stress of modern life slip away. There are no roads on Phi Phi so once you settle into your resort your only mode of transport is a longtail boat (and some haggling with a local for the right price!). Make sure that you won’t need an ATM! Krabi is a 2 hour overland trip from Phuket through countryside terrain and local villages. Sit back, relax and enjoy the ride! Krabi’s sheer limestone cliffs will welcome you to where over 130 islands rise majestically from the sea, and secluded beaches are accessible only by colourfully adorned long-tail boats. Krabi is about getting out and exploring nature - sea caves, exotic marine life, rock climbing, beautiful National Parks, hot spring waterfalls, the spectacular turquoise waters of the Emerald Pool and Tiger Cave – a cliff monastery in a jungle valley. The tropical island setting and laid back ambience make you feel like you have truly discovered the ideal island escape and that is why it is so popular with honeymooners. But, typically Thailand, there is something for everyone here. 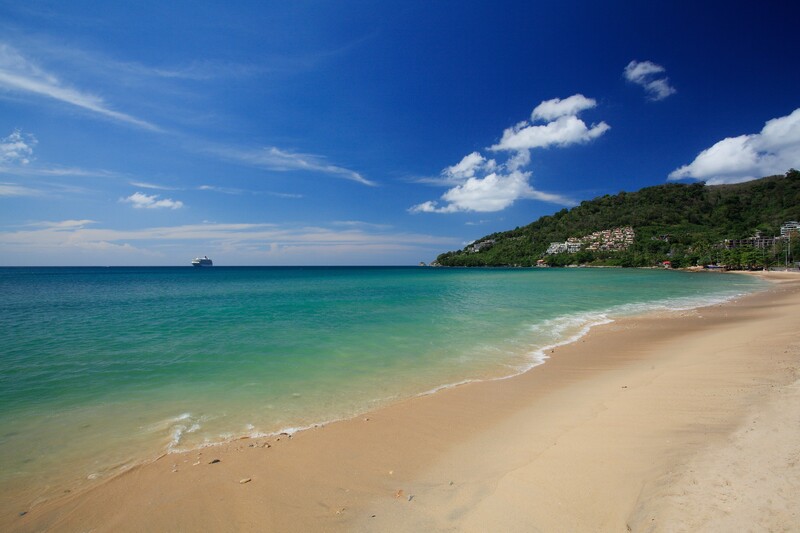 Head to Chaweng Beach for the vibe, and try Lamai or Bophut Beaches for a more tranquil experience and to bask in the beauty of nature. Within sight of Koh Samui, you’ll find Ang Thong National Marine Park – an archipelago of 42 towering islands with lush jungles, white beaches, hidden coves and waterfalls – making any trip away from the perfection of Koh Samui not only painless, but an experience like no other. Koh Samui is Thailand’s third largest island and extremely popular but there is still an opportunity to find your own little slice of paradise. The monsoon season in the Andaman Sea (West coast/Phuket and surrounds) is from approximately May to October. The monsoon rains are generally short and heavy, clearing quickly and days of constant rain are rare. The national language is Thai, although English is widely spoken in Phuket, Krabi & Phi Phi. The currency is the Thai Baht which is better for bargaining and shopping in markets. US Dollars, Pounds and Euros are accepted at hotels. A service charge is already included in all prices. Tips, in general, are not mandatory, and you should only give them if you are really content with the service offered. Waiters, bellboys, porters, restroom attendants and taxi drivers will happily accept loose change. 5 hours ahead of South Africa. Thailand brags of many festivals throughout the year; one of the most famous being the Songkran Festival in mid-April which washes away all the bad spirits and celebrates the traditional Thai New Year. Basically, Songkran is all about getting wet, so be prepared to be squirted with ice water! Light, cool clothes are sensible. Shorts (except knee length walking shorts), sleeveless shirts, tank tops and other beach-style attire are considered inappropriate dress when not actually at the beach or in a resort area. It is important to show respect for the Thai Royal Family. Revealing attire is not allowed in religious shrines. Do not climb over or sit on Buddha monuments. Do not touch or give anything directly to a Buddhist monk if you are a woman. Thais greet each other by pressing their palms together called ‘wai’. It is rude to touch people on their head or point your feet at people or an object. The electric current is 220 volts AC (50 cycles) and the majority of electrical outlets take a round, two-pronged slim plug. Visitors do not require vaccinations unless coming from or passing through a designated contaminated area. Drink only bottled water and avoid ice unless you know is made from bottled or boiled water. Be cautious when eating from food vendors on the street.